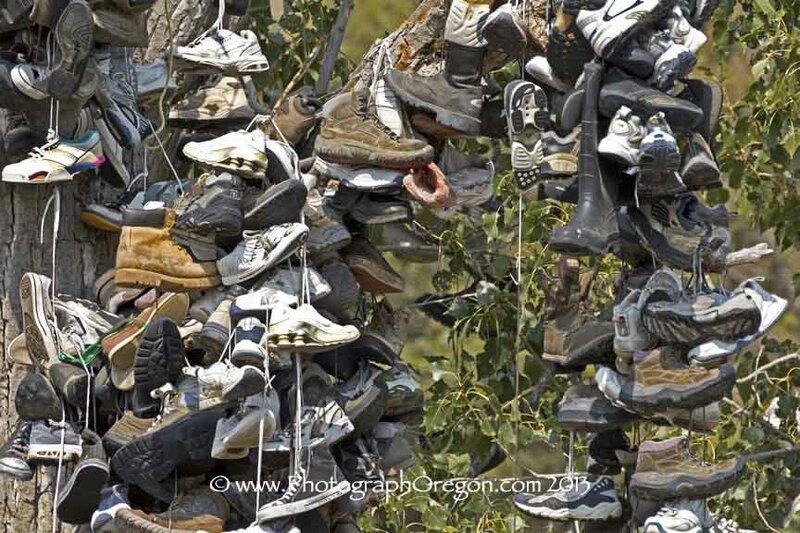 One of the more popular and really fun bits of Oregon odd stuff are the Oregon shoe trees that dot the landscape. I happen to be fascinated by them! This one good one on SW Reservoir Rd east of Alfalfa, OR. We found it on the way back from looking for some Oregon Caves and Oregon rock art in Alfalfa. It was pretty dark when we found this one but a big fat flash unit goes a long way! Your first paragraph ...The oldest one I've seen is on highway 26 way out on the way to The Painted Hills. It's 69 miles east from Prineville just past mile marker 89 and pretty loaded with shoes, boots, slippers and pretty much every form of footwear. I've heard rumor there is another really tall one about ½ mile away from this biggie, but I've not seen it. There is a new one starting up on the east side of highway 97 between Bend and Redmond. I was not the first one to spot this. We were driving to White River Falls when myb husband just pulled over on the side of the road. “Is something wrong with the car?” I asked. He just bought some new shoes and so we are going to make a trip up here and donate the old ones! 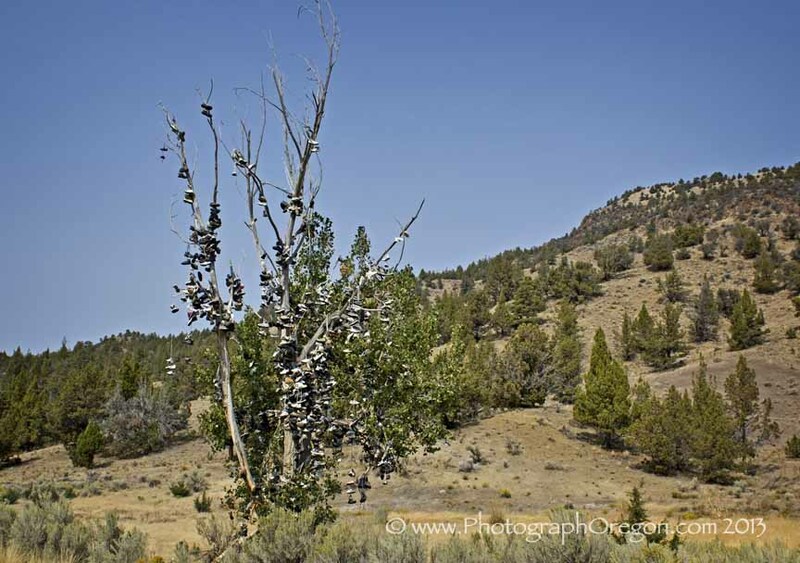 I know there are some great Oregon shoe trees over the mountains in the Valley. 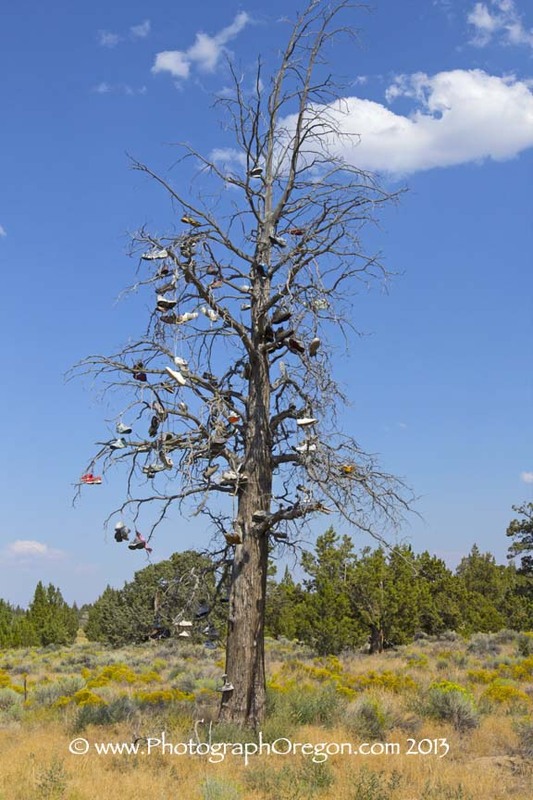 If you know of them or have a favorite local shoe tree that I missed, feel free to add location and/or images! 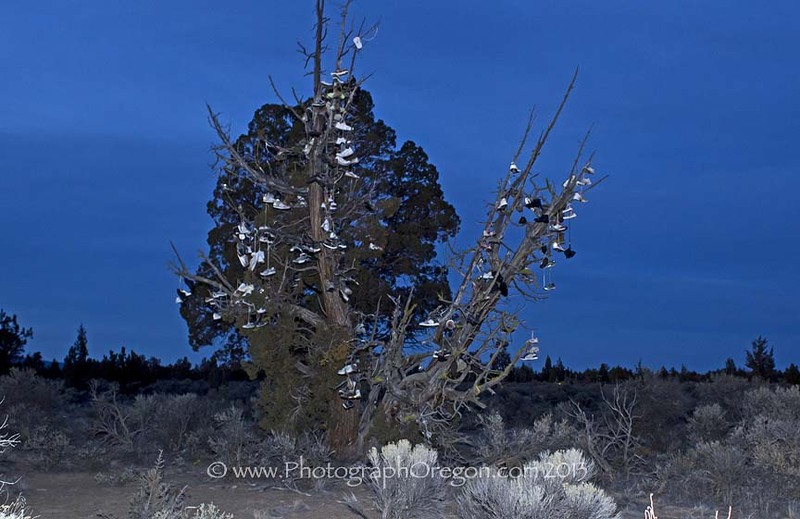 Have A Great Story About Oregon shoe trees? Do you have a great story about this? Please, share it!